Frank Mittelbach and Michel Goossens, with Johannes Braams, David Carlisle, and Chris Rowley. 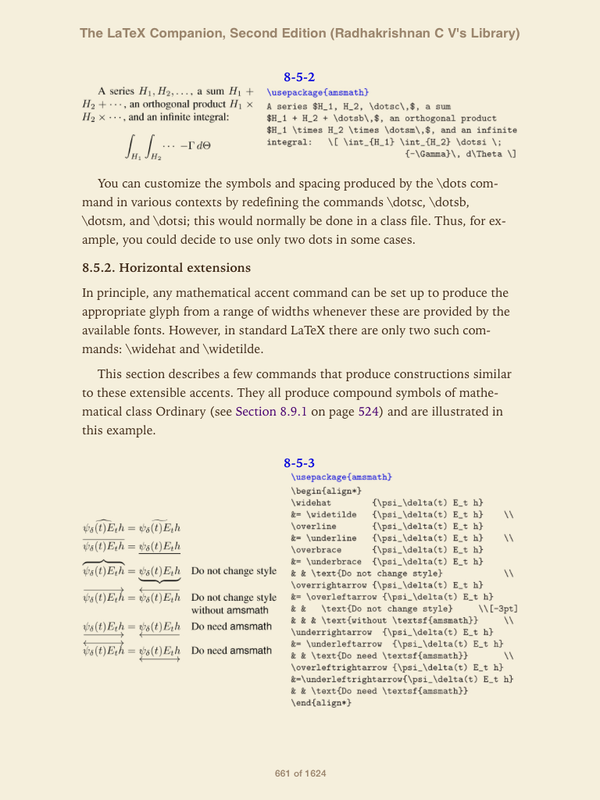 The LATEX Companion -– 2nd ed. Includes bibliographical references and index. ISBN 0-201-36299-6. 2004, Pearson Education, Inc., Boston, MA. I’m happy to announce that there is finally an eBook version of “The LATEX Companion, 2ed” available. It was a rather challenging exercise due to the many examples in the book and the need to reproduce the example output faithfully on that media. 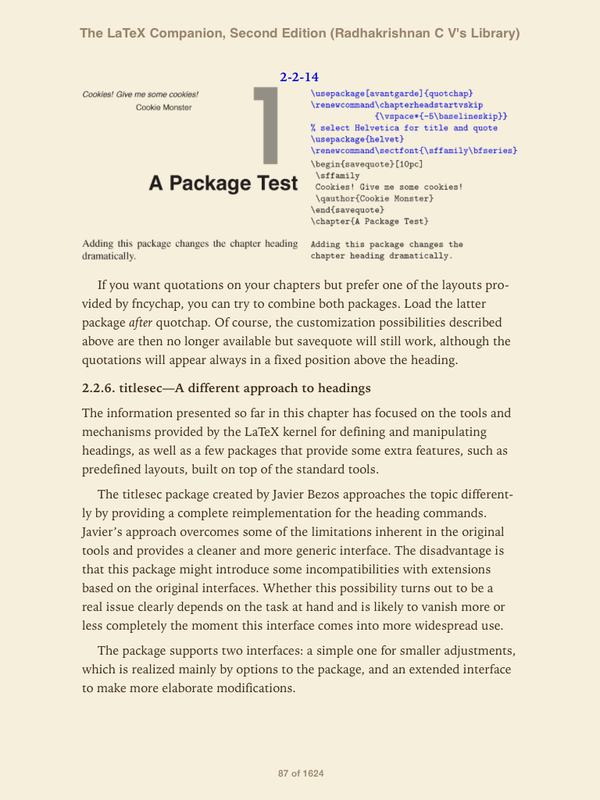 Originally we thought that anything other than plain PDF is not going to be possible; however as it turned out both ePub and mobi (Kindle) came out surprisingly well. The eBook will be sold through various channels, however, the best deal is probably going to be through InformIT, as the publisher is selling the eBook as a bundle with all three formats included (PDF, ePub, mobi) and no DRM applied (!) only watermarked to kindly remind readers that this is not a work given away for free. In addition there will be a special promotion price for the bundle valid until December 31, 2013 where it is offered at $14.99. Readers may kindly note that the discounted price of $15.00 (why this deceptive $14.99?) available up to the end of the year which is a big incentive. The file size of 18 Meg for PDF is an additional advantage for those who always wanted to refer without the discomfort of huge physical size of printed volume. The file size of ePub version is 122 Meg while that of mobi is a whopping 200+ Meg, the reasons could be the large number of high resolution images that defy proper and decently formatted textual constructs in ePub and mobi formats while maintaining economy of efforts, coding and complexity factors. The release of eBook is a big surprise for me. 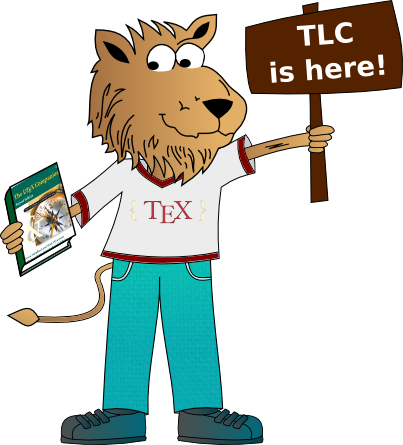 As with anyone in the circuit, I thought that TLC might be a difficult candidate as far as ePub format is concerned. However, the authors have done an excellent job in providing a reasonably perfect ePub version which almost simulates the look and feel of printed version. The high resolution images have served the purpose very much, although with the undesirable side effect of huge file size, a prize we would happily pay for the quality of the output. The only difference I can see between the print and ePub versions is that the marginal notes have been presented in the ePub version as blue colored smaller headings with a fixed indentation in the body of the respective pages. Cross links work correctly in the ePub version as in the PDF version which are by no means an easy task to achieve. The huge amount of work behind this deserves much more than what we pay by way of cost of the documents to download. The only point if at all I can mention as a remark is that the TEX and LATEX logos have not been used in the ePub version, but the usage of the logos would have enhanced the refinement still further, nevertheless it is not a shortcoming at all.